GIVIT – Goods For Good Causes. For close to a decade, GIVIT has supported Australian communities with a free online service that connects people in need with a wide range of goods and services from generous donors. 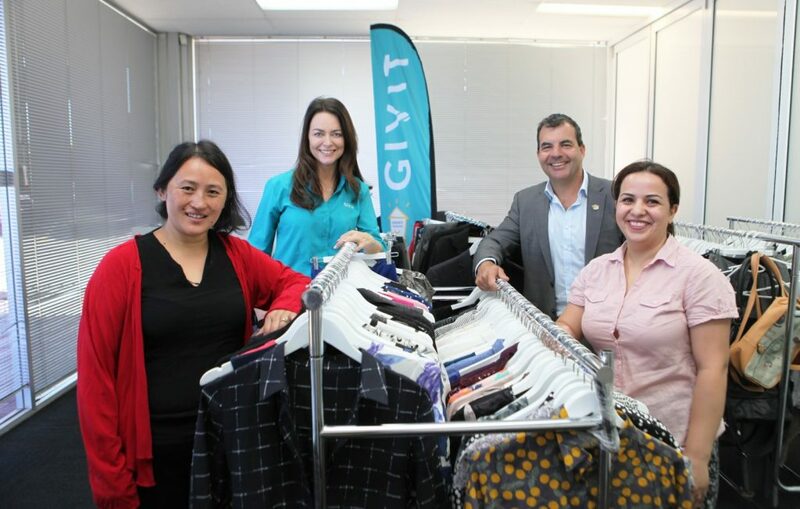 A recent GIVIT initiative has supplied donated corporate clothing to participants from the Kaleidoscope Mentoring Program. The program supports highly-skilled migrant and refugee newcomers improve their employment potential by connecting them with industry mentors. More than 400 pieces of donated clothing including business shirts, suits and dresses will help program participants look sharp at job interviews and workplaces. A big thanks to Transit Clothing, Perth for loaning us clothes racks and hangers for displaying the clothes.